NetVM is a holistic company taking your business through many stages in online brand management. By now Internet not only profoundly influences society but also controls virtually all walks of life. Our focus is on how media and communication processes affect human perception and understanding. We take your brand on a journey starting from a solid technology foundation to the next level of strategic brand awareness. Choosing the right domain for your business can sometimes be hard and we help to make it easy for you. With many domain extensions you can be sure that you have lots of choice to pick the right domain. We scan the latest prices for domains and choose the most efficient cost from large verity of international suppliers. NetVM can help to choose the right website design platform. Some websites use outdated technology and in this situation NetVM can implement the more effective solution which will improve traffic and search engine rankings for your company website. 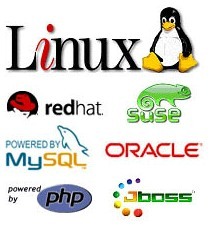 At NetVM we let you choose from many website hosting packages. All hosting plans come with high speed and reliable web servers which have 99.9% uptime guarantee. NetVM offers Safe and High Performance Cloud Servers at best possible prices. Price Guarantee is our commitment to provide the lowest web hosting prices. If you find a lower price for comparable hosting service we will beat it by 5%. Why host your website with NetVM?